Chinese rapid listening is for non native Chinese speaker to understand Chinese in a very short time. The series include five levels – beginner, elementary, improving, intermediate and advanced. 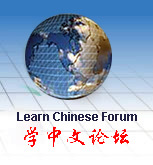 This beginner course is the first level, intended for the students without or with little Chinese words. It has total 12 lessons in the form of dialogues and simple texts, involving such communicative items as living, studying, social activities and working in China. This series can be used for both classrooms teaching and self-learning. This order is for 1book and 6CDs (beginner) together.